Recorded Live at Capital Center, Washington, DC, USA - February 18. 1978. Excelent SBD Recording -> Bootleg Silver CD :: CBR 320 kbps. 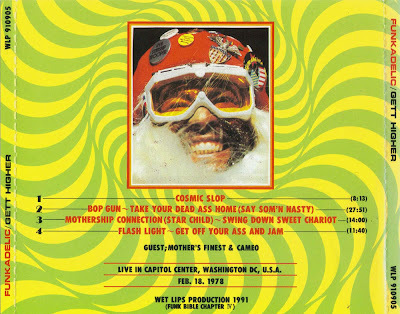 Personnel: George Clinton & Parliament Funkadelic. Guest Musicians: Mother's Finest & Cameo.